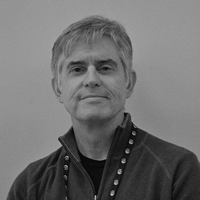 With over 18 years of product design experience, Archie has worked with many nationally prominent US clients such as American Express, Amtrak, General Electric, Owens Corning, and Wachovia. Most recently, Archie has led UX for online product development for teams at Crutchfield, Snagajob, and most recently as Team Manager for Interaction Design at CarMax. Saikat Mandal is a Sr. UX Designer at Classic System Solutions, where he researches, designs, builds and tests interactive prototypes for enterprise applications, to be used on desktop as well as mobile devices. He has about ten years of experience in Design, Information Architecture and User Experience. He has bachelors in Architecture, masters in Visual Communication and a second masters in Instructional Media Design. James Hobart is an internationally recognized user interface design consultant based in California, USA. He specializes in the design of large-scale, enterprise applications. He is an expert in user interface design and in creating effective user experience strategies. Mr. Hobart has over 27 years of software development experience and over 23 years of GUI, Web and Mobile Interface Design experience with Global 2000 companies. James Hobart is president of Classic System Solutions Inc.
Peter is a passionate user experience designer, researcher, blogger and sci-fi writer. He is overjoyed to use Axure RP on a daily basis. He used to be UX manager at Cylex, nowadays working as a Chief User Experience Consultant at GC Venture Consulting. While helping companies succeed in usability, accessibility and evangelising user centric thinking, he came up with his own user experience methodology. His workflow is based on the kaizen continuous improvement principle, popularized in his blog: kaizen-ux.com. 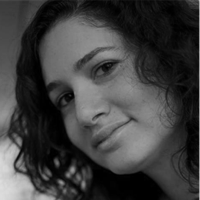 Shira Luk-Zilberman is currently a user experience designer at Sizmek, a leading campaign management platform. She previously worked at Netcraft, one of Israel’s top ux consulting agencies. She completed a BSc and MSc in Computer Science, and was on a path towards a career in software engineering, before she realized that UX is far more interesting! Shira brings her analytical and technical skills to the design process, and specializes in creating usable solutions for complex domains. She is always excited to explore Axure’s most advanced capabilities (and hacks) to achieve a truly realistic experience. She is an active user in the online Axure Forums, and is one of the admins of Israel’s Axure community on Facebook, where she answers (and asks) questions daily. When she is not building prototypes, she is busy mothering little baby Noga, which occupies most of her waking (and also most of her sleeping) hours. Her linked in profile is il.linkedin.com/in/shiraluk/. Presenter, AxureWorld 2013: Achieving responsive, realistic, data driven design using Repeaters and RWD Views. Joseph Reni is a UX/UI Designer at Design Interactive Inc. He has extensive experience working for several industries, including the Department of Defense and commercial. 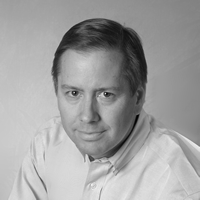 He strives to understand the science behind good design and specializes in rapid application prototyping and testing. 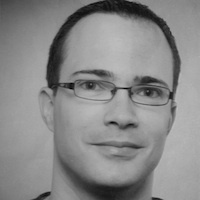 Joseph’s research interests are in Human Computer Interaction (HCI), interface design for the user experience, interaction cognition, gestural interfaces, and usability. He holds a B.S. degree in Psychology from the University of Central Florida and a Master’s Degree in HCI from Iowa State University. Joseph Started and maintains a successful prototyping and design meetup and enjoys actively supporting and contributing to various design communities including Axure, Fireworks, and Edge. André is a user experience researcher located in Brazil with six years of expertise in mobile devices and interface design. He currently works at the Centro de Estudos e Sistemas Avançados do Recife (CESAR) in test and design projects related to mobile devices. With expertise in multimedia and user-centered design, he developed jobs for Motorola and Samsung as well as other projects focused on human interaction and digital content. In addition, he also acts as a professor of user-centered design, usability and prototyping in several local educational institutions. He is a big fan of prototyping activities at various levels and mobile universe, including Android and iOS. Also, performed some jobs related to muse, game design and development. 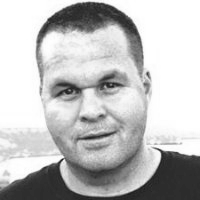 Christopher has been living experience architecture, information architecture and interaction design since 2003, after graduating with a Masters of Science (Honors) in Psychology from the University of Canterbury (NZ). He followed this with postgraduate certification in cognitive ergonomics and human factors from the University of Queensland (AUS). Christopher specializes in interaction design, IA, usability analysis and experience architecture. He has deep domain experience in rich internet applications, real-time systems, mobile applications and process design. He has applied his skills in a wide variety of domains including: end-to-end transactional systems for the telecommunications and financial industries, cutting-edge medical interfaces, and leading mobile applications. He is an Axure advocate and conducted some of the first Axure training in Australia. He has consulted with some of the largest and most innovative companies in Oceania, including: Westpac, Macquarie, Citibank, Optus, Telstra and News Digital Media. He is also a founder and director of Demibooks Inc. , a global software development company that specializes in software and services for mobile applications and interactive books. He does blog-like things at christopherroosen.com and can be found in the usual places like LinkedIn (christopherroosen) and Twitter (@chrisroosen). Ari is currently the Director of User Experience at Admeld and works primarily on projects in the RTB (real-time bidding) advertising space. Previously, he was the Vice President of Product at TargetSpot, an innovative advertising platform and network for Internet Radio and has over 15 years of experience in Product Management and web production. 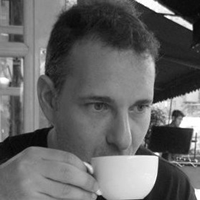 Ari is also the creator of WidgetLib, a library of common UI components and patterns designed to facilitate rapid prototype development for users of Axure RP 6.0 and later. Jo Anne Wright is an user experience designer in northern Virginia with 7 years experience. For the past year she has been an "army of one" at Customink and prior to that was an information architect at Travelocity. She develops designs for external e-commerce sites, internal applications, and tools. She has been an Axure user and evangelist for 4 years. She has worked with distributed teams in Agile development environments, using low-fidelity prototypes to communicate with business owners and developers, and high-fidelity for usability testing. Jo Anne made a career change from travel management to human-computer interaction, earning an MSI from the University of Michigan School of Information. She is a passionate advocate for the oft-forgotten internal user who typically have to deal with hand-me-down interfaces.